With SnowMani in our ranks, we'll be able to keep an eye out, at all times, on the forum. We've got moderators from Europe, North America and now from the land of Vegemite, kangaroos, dingos, shrimp on the barby and of course...Foster's! . We've also officially become an equal opportunity forum by having *3 men (Gatecon, UKHippo, myself) and 3 women (BuddysMom, AvaGlasgow, SnowMani) as moderators. *Nobody really knows what Bankai and dlorgere are (and let's hope we never find out), so they don't count. Well, Doug is both and I'm a robot...so yea. Thanks all for the welcome and congratulations . And thanks for the song. It's one of my favourites! Yay! Welcome to the club SnowMani! Does this mean we get a discount on koala meat now? Congrats snowmani! Go the Aussies! Certainly, discounts all round. I'll send you a crate full of those Drop Bears. Don't let the cute and cuddly appearance fool you. They're actually evil little sods. Today the forum, tomorrow we take over the world. Go the green and gold!! I visit those who visit me. My zeppelin will tell you where I'd like taps. I'll tap your museum if it's lower than level 6 -- unless you've instructed otherwise here on the forum or your zeppelin. Woohoo, that's excellent! Congratulations, Snowmani, a great addition to the already great team of folks that keep this playground so fun! 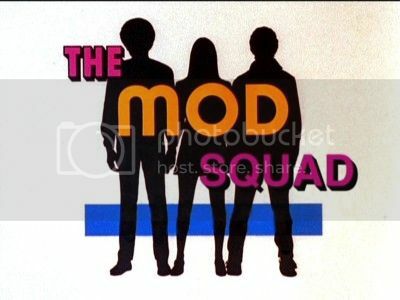 Anyone remember this TV show?